aka (somehow) "Dangerous Charter" A mobile home crashes to Earth containing two malevolent, ambulatory carpets with vacuum cleaner hoses attached to them. One roams the countryside at about the speed of a common sloth, its hunger for human flesh fortitutiously sated by all the people who willingly crawl inside its tiny maw. We're back into Manos territory! This is unquestionably one of the worst movies MST ever did. Wait until you see the gym scene. How did this ever get made? Wikipedia has the sordid details. There's even a movie made about the making of it, "The Creep Behind The Camera" (2014, reviewed here)! Anyway, it's one of my favorite episodes. YouTube(1h32m) Premiered September 17, 1994. "A newlywed sheriff tries to stop a shambling monster that has emerged from a spaceship to eat the citizens of an American town." Directed by Vic Savage. Written by Robert Allen Silliphant (but disowned). Starring Vic Savage, Shannon O'Neil and William Thourlby. The narrator is Larry Burrell. The Wikipedia page says that the writer Allen Silliphant was hired because he was the half-brother of television writer Robert Silliphant, who had written for Alfred Hitchcock Presents and co-created Route 66. Robert is credit, but it ain't him, and when Allen found out the ruse quit the production. Director and lead actor Vic Savage was pretty much a con artist. Another part of the story revealed on Wikipedia is that Allen intended the story to be an over-the-top farce, but the director didn't share his vision. There are so many incredible moments in this movie. How the monster's victims just craw inside its mouth, the infamous RECTAL THERMOMETER SCENE, the attack at the teens' make-out spot where the kids just keep making out, and the dance at the school gym, complete with repetitive dance music, lengthy meaningless stage setting, the monster just appearing inside the gym, and the victims lining up single file to escape, during which a fist-fight breaks out. Ooh, and that ending. Like Monster A-Go-Go, most of this movie's sound is narration, possibly because the original soundtrack was destroyed during production, or else because Vic Savage couldn't afford to have the sound recorded during filming transferred. Gosh, I sure could use Thursday about now. Every week we in MST3K Club watch that week's episode on an internet video sync page with chat room attached. You should watch it with us! It's at https://cytu.be/r/Metafilter_MST3KClub, Thursday, at 9 PM ET/ 6 PM PT. This week's preroll material will probably contain some Manos-related material, with the recent departure of Tom Neyman, who played The Master in that infamous movie. There's a good chance we'll put in that episode too, either before or after the "main" movie. Plus, it seems the Manos documentary Hotel Torgo is on YouTube! Something else to consider. If you have any other ideas, please chime in! MST3K Club is not showing 607 BLOODLUST, the expected episode this week. 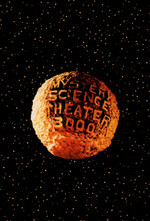 Instead, we are going to try to embed the official MST3K YouTube stream into the cytube room! Testing with other livestreams indicates it should be at least possible, but YouTube allows each stream to be marked as embed-able individually, so until the official stream goes up, I won't know if we can watch it with just our gang, in our own cozy chatroom of MeFites, or if we'll have to compete with the thousands of other viewers in the YouTube chatroom and its horrendous scroll rate. In the meantime, MST Club is showing a playlist of Turkey Day bumpers from throughout the years! It's all at https://cytu.be/r/Metafilter_MST3KClub. Just a note, looks like the Official Shout Factory MST3K Turkey Day Marathon kicks off at Noon EST.